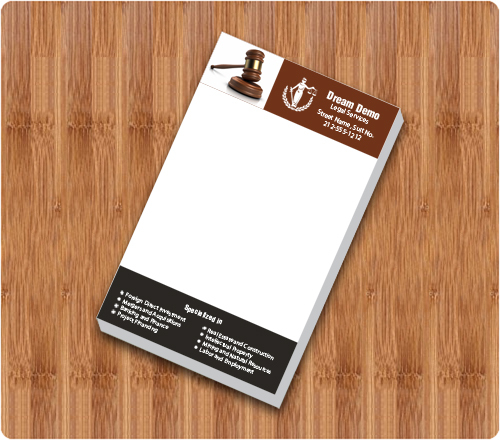 A 3 x 5.25 customized notepad attorney – full color is generally considered for goodwill building by attorneys, and legal professionals due to its high utility value. 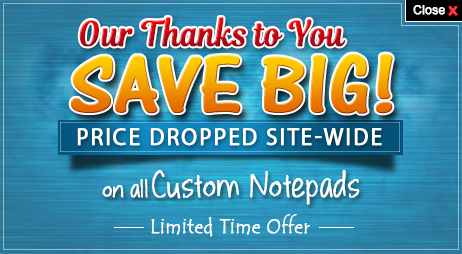 It offers them ample advertising space and lots of scribbling space for users, who are habitual of noting down their thoughts, law points, marketing lists, etc. 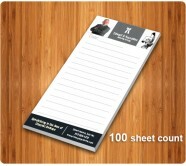 This promotional attorney notepad is offered in 50 and 1oo sheets and can be imprinted in any color. Personalize attorney notepads can be offered towards the end of consultation service or before opening a new office, etc. 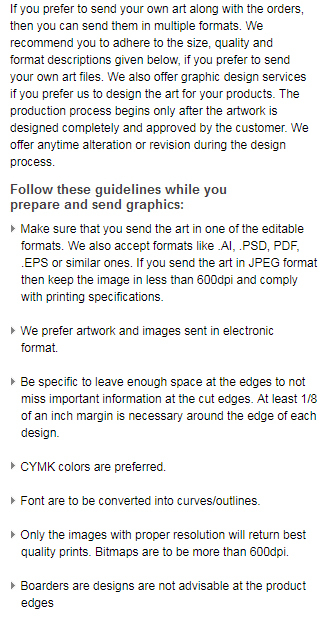 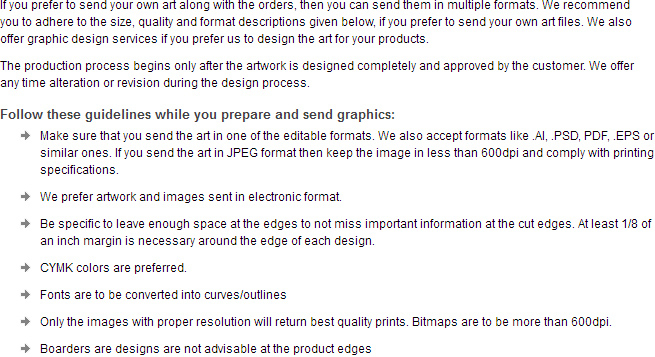 Imprint Area : 2.87" x 5.12"
Product Size : 3.06" x 5.37"